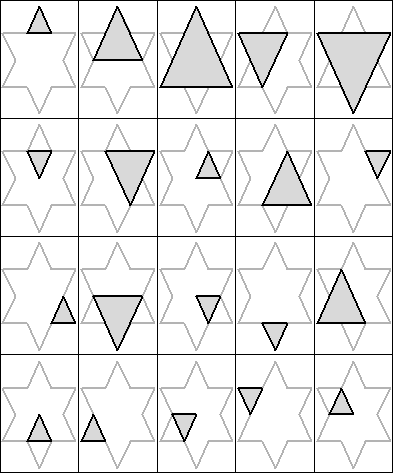 The Star Puzzle is a puzzle presented on The Math Forum. I became aware of this problem by noticing the article and solution posted on Quantitative Decisions article section. 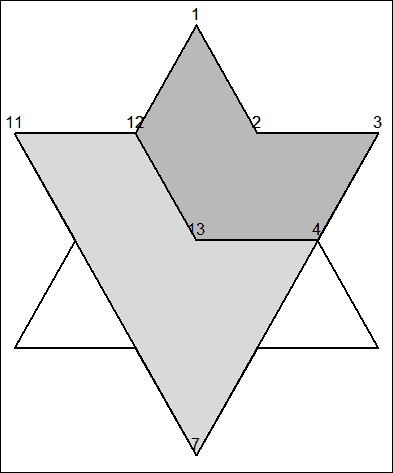 It asks the question, "How many triangles, quadrilaterals, and irregular hexagons can we form from a star of David?" 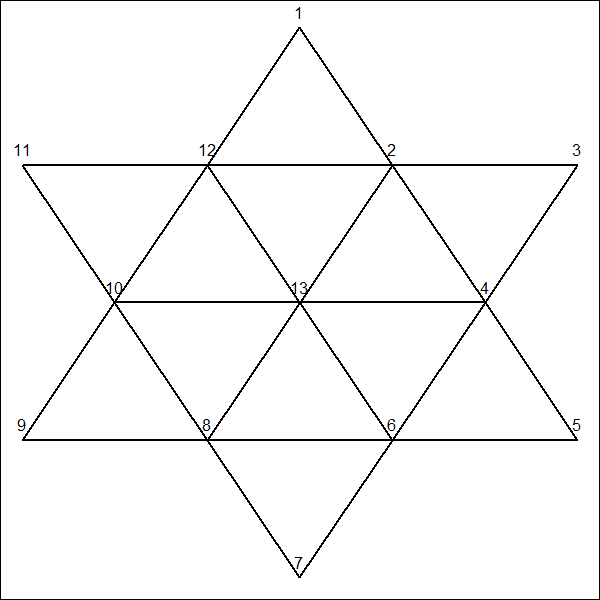 In this post I will solve these questions using R as well as solve the more basic question, "How to we find the geometric placement of each of our nodes so as to graph all of our shapes perfectly?" 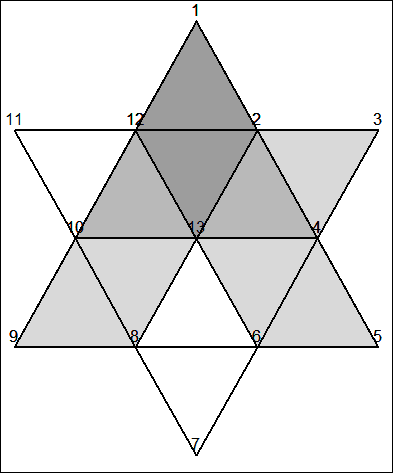 First off, we note that the star is constructed of two intersecting equilateral triangles which when connecting each intersection points creates a total of 12 smaller equilateral triangles. Let us first define the origin as (0,0) and define the length of one of the larger sides as 9a (but for future reference just 9). The a is there to indicate that we can arbitrarily scale the star at any time. 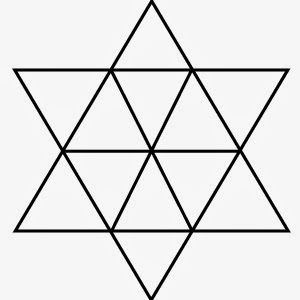 Now we want to find all of the nodes (corner pieces in all of the 12 triangles) on the star. 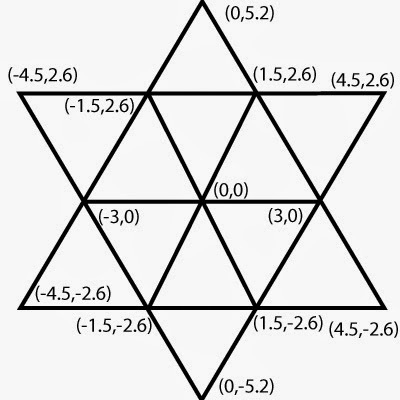 Some values we know already, for instance the x values are all -4.5, 0, or 4.5 because the star is centered at the origin and each side is 9. 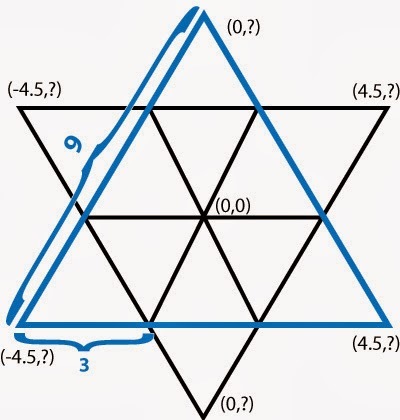 Also, we know the length of each side of the smaller triangles since 3 smaller triangle lengths spans the larger triangle length thus length of each smaller triangle is 3, giving us the coordinates of our first two nodes (-3,0) and (3,0). 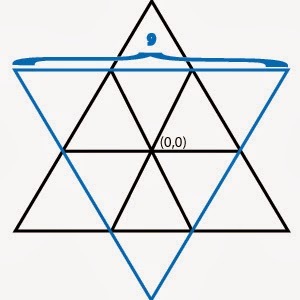 Next we need calculate the height of one of the triangles. 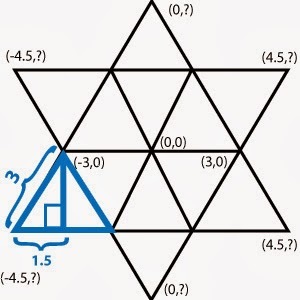 Using the Pythagorean Theorem. Now we can fill in all of the values. 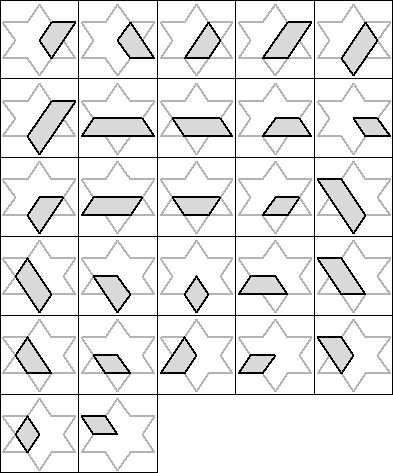 Let us send these values to R.
# Now the regular hexigon. 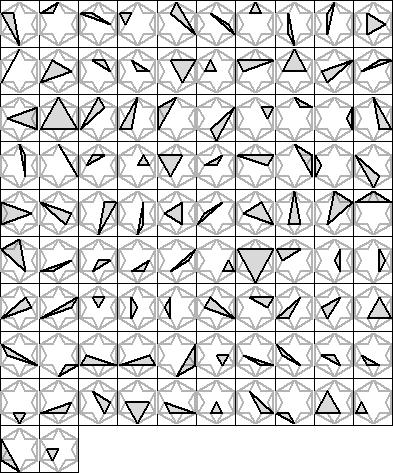 # Finally the lines connecting the intersection points. 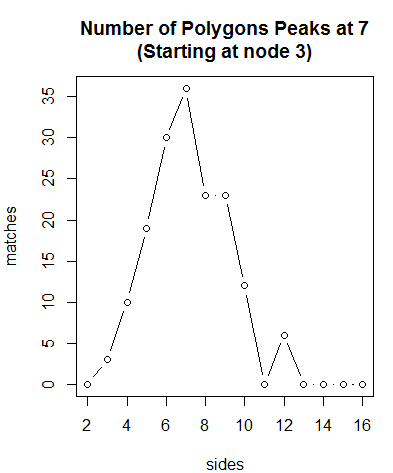 # a list of connections for each node. 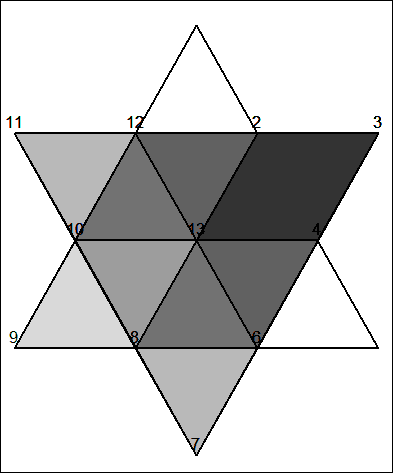 # collapses nodes on the same side. # we will remove that node. 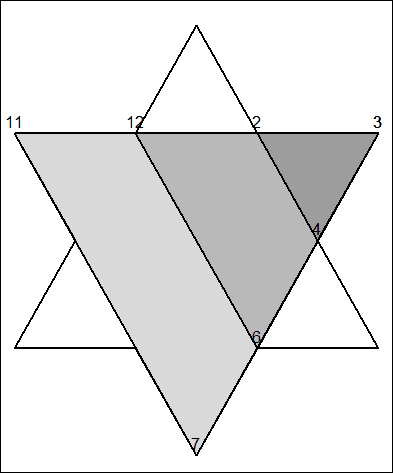 Thus 1,2,4 will become 1,4 which counts as one side. # Let us create a function to count the number of sides. # some nodes have already been used. # time there is a end of path. # of sides. 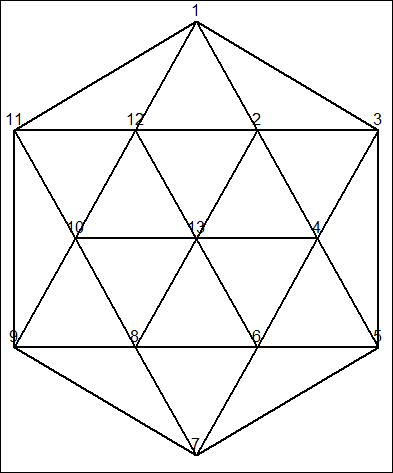 We know there are no 2 sided polygons. 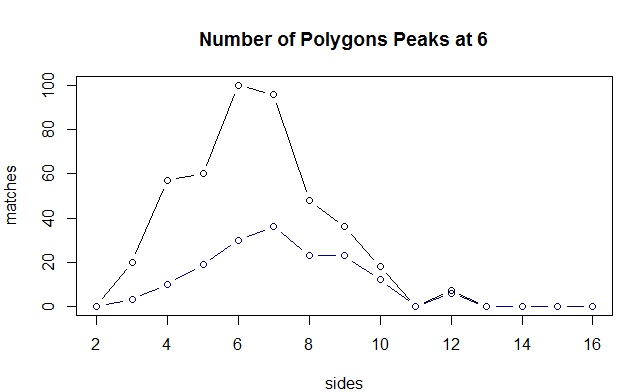 # could calculate polygons even if nodes or connections were added or removed. # in the code somewhere. # within each search algorithm. # of connections by 6/13. # before adding to the list of solutions, k()'>0. Small typo: "Using the pathagorian theorem." --> should be "Pythagorean" theorem. 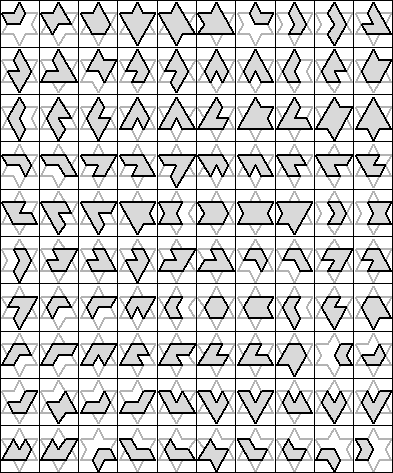 I'm looking forward to playing with your code this weekend!